The ability of the human brain to decode visual semiotics has brought messaging through design to fore of nearly all media. Today, when we look at a billboard displaying an advertisement for a soft drink, we almost immediately associate our sensory perceptions with it. This is where the power of design lies. However, this capability is perhaps best demonstrated when it comes to mobile application development. 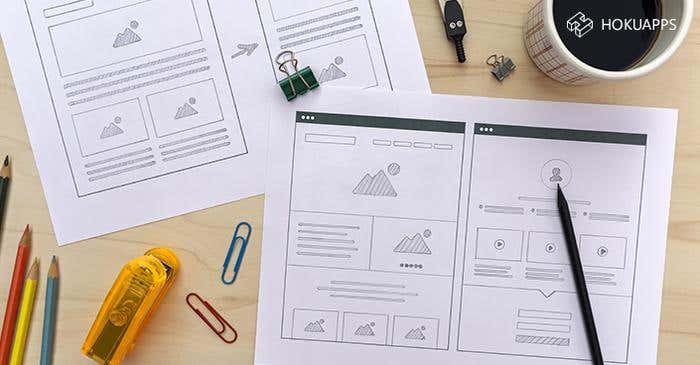 How you design the navigational blueprint and each individual page (breaker or landing page) of your application, outlines the user experience of the application. But once you delve deeper into the workings of the UX design, its importance is a rather quick realization. UI design is based on the schematic collaboration of various standalone elements. By now, it is clear that design is not random. It has a clear objective. The same is true for mobile application design. The intensity of the impact that design has on end users has caused mobile app development companies invest in building their skill repertoire. Mobile app development companies focus on getting the design right in an attempt to drive a greater number of users to the application. But designing the UI and UX for a mobile application has evolved and certain guidelines have been accepted as best practice. These have essentially evolved over the years to eradicate possibilities of having a complex end product. In other words, to keep your app from having a starchy appearance rather than a fluid one. If you have decided to outsource your project to a mobile app development company, here are some points that they should be aware of. When designing a mobile application, the platform plays an important role. The mobile platforms or operating systems landscape is dominated by Android and iOS. Being the two biggest players, they are distinctly different from each other in terms of design as well as functional navigation. Most often, mobile app development companies will design apps that are specific to one platform (native apps) with features that are compliant with the nature of the platform. In case of cross-platform apps, the design style has to accommodate the nature of both Android and iOS. One of the ways mobile app development companies can make sure the product has a native behavior is in compliance with native operating system design guidelines. Smart devices come in all shapes and sizes. App users are no longer restricted to a single device like the smartphone or tablets. Devices like smart TVs and smartwatches are significant end-point devices for applications. The challenge that mobile app development companies face with this wide range of screen areas is the need to design apps that are compliant across devices. Designing an app for a specific device will fail to impress a large section of users. This scenario is more significant in Android app development than it is in iOS. This is because iOS has regulatory control over the hardware that runs the apps which makes it easier for them standardize the design. Android, on the other hand, is an open source platform. This translates to a large variety of devices with varying screen sizes and functionality. Once again, mobile app development companies have the option of referring to the Android guidelines on screen compatibility. For example, Android recommends ‘pixel density independent apps’ to ensure standard resolution across devices. 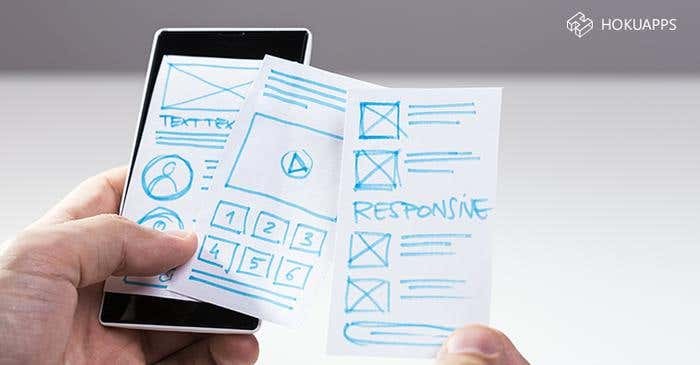 Simplicity in mobile app designers go a long way in enhancing user experience. One of the greatest advantages of a simply designed application is that it provides efficient ways for the user to accomplish common tasks. Simple apps are also better at conveying information. Using simple design elements also make the app data conscious, since heavier designs require more data to load on the end device. That being said, it is very easy to go overboard with simplicity. An overly simple app may come across as having a confusing interface. Designing a simple app is often more difficult to design a cluttered one. This is why it is very important to partner with a mobile app development company that has a good sense of design and simplicity. 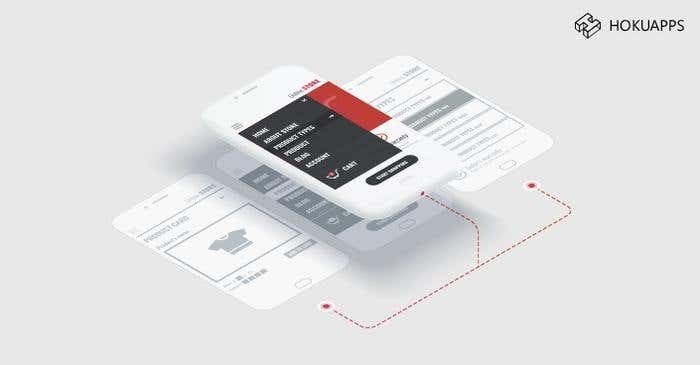 The competitive state of the mobile application development market demands not only a good design, but a smart process based on business logic. Apps that do not keep pace with the dynamic user demands stand the risk of providing outdated features. Leveraging reusable components allows you to be efficient and iterative. The advantages of using reusable components are manifold. The primary advantage is in terms of costs. A mobile app development company that reuses code components do not have to rebuild the codes to implement design reallocations. It is evident from this that reusing code components can also reduce effort duplication. Navigation is a major contributing factor towards your app’s user experience. At the very heart of the navigational blueprint lies transition animation between pages. Animation plays an important role in interface design. Functional animation ensures an interactive interface with users. While the animation is important, the transition between pages provides mobile app development companies to get creative with their design. Spatial orientation is another space that can greatly help improve your user experience. It is often noticed that users are not able to comprehend sudden changes in the interface. This is called ‘change blindness’. Change blindness may cause the user to lose the context of changes. A smart way to work around this would be to introduce as little change as possible with each new page. Mobile applications are one of the most user sensitive products in today’s tech market. Locating the sweet spot requires a pinpoint accuracy. However, designing a mobile application is more than rules and guidelines. This is where you can let your creative side take over. While breaking rules open up exciting new opportunities, it is equally important to understand the very rules you are breaking. Familiarize yourself with the actions and their consequences and use them to the design a great app.